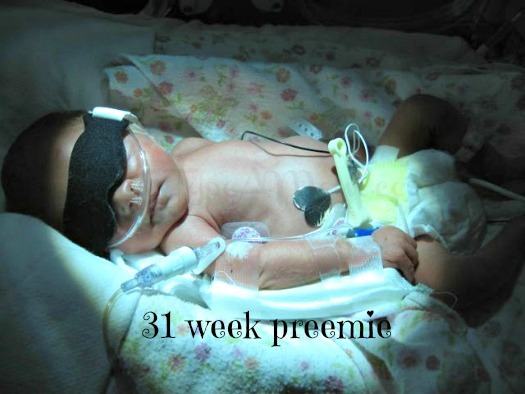 This post on How to Help Stop Premature Births was sponsored on behalf of Medimmune. All photos and experiences are my own. 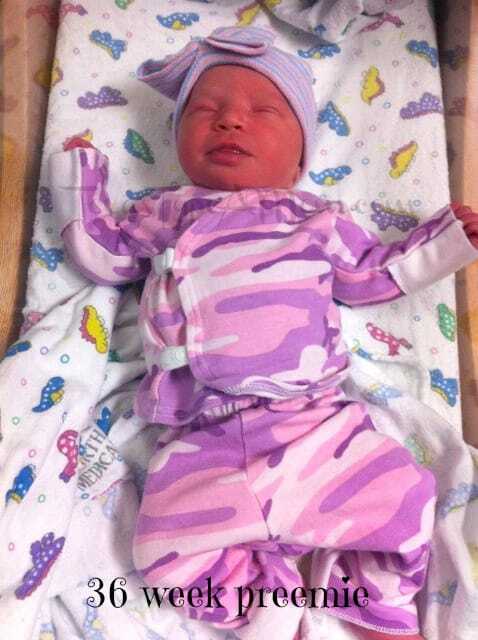 Preemie Awareness Day was November 17th. This is an annually recognized day to bring recognition to the staggering rates of prematurity across the country. When I was pregnant, I always skimmed over the sections in pregnancy books about prematurity because I didn’t think it was going to effect me. Little did I know, I would have not one but two preemies. Like me, lots of parents aren’t even aware of the risks and possibilities of prematurity until after their first child. Today is Thanksgiving and one of the things that I am most thankful for is my wonderful family. Both of my daughters were born prematurely so as I count my Thanksgiving blessings I can’t help but be grateful for them and that they are healthy and thriving today. I know that not every premature birth results in a happy ending. There are many preemies that aren’t able to celebrate their first Thanksgiving or that are forever scarred with their premature arrival into the world. Prematurity is the leading cause cause of neonatal death. For this, I feel incredibly grateful that neither of my girls had any lasting health problems and that only one of them spent time in the NICU. As you know, my oldest daughter Cakes, spent 40 days in the NICU while we were living in Colorado and ended up being sent home with a nasal cannula. Despite our excitement of being able to bring Cakes home from the hospital, we were really nervous. Not only because at almost 6 weeks old she was not even 6 pounds yet, but also because she was no longer as protected as she was in the NICU. Because she was born so early and right in the middle of flu season, we were able to get her approved for shots to help protect her against RSV. RSV is a virus that causes infants and children to become very sick and can even be fatal. The thought of her getting RSV terrified me so we limited visitors, avoided unnecessary outings, and compulsively washed our hands. There was still the possibility that she could get RSV but we were hoping by going out of our way to do these things we could help protect her. And we did and we have, so far. My youngest daughter, Cupcake, was also born prematurely but at 36 weeks was in much better condition than Cakes at 31 weeks. We were blessed that a NICU stay was not necessary and even though it made me nervous, it was deemed that the shots to help protect against RSV were not necessary for her. Thus far, the only illness that Cakes has had is a cold but to be honest, I still worry and anguish over the thought it could be RSV and hope and pray for signs that it’s not. I know it’s not feasible to take up residence in a bubble but we owe it to our children to do everything in our power to not only educate ourselves on RSV but also to be proactive in educating others. To learn more about RSV, visit www.rsvprotection.com. Make sure you check out last year’s Prematurity Prevention Day post to learn more about how to prevent RSV and the flu. My niece was born at 32 weeks… everyone should be aware of the risks. I’m so lucky to have carried my son to 38 weeks. Praying for the preemies! So scary. 🙁 I never really knew about RSV until reading about it on blogs! My son was premature too, and to this day he gets sick so easily. It’s to important to be cautious! I can’t tell you how thankful I am that all my kids were born either at 40 weeks, or just a couple days short of 40. I really never understood the true risks of premature birth until I started reading mother’s stories on blogs. My heart goes out to them. Both of my babies were full term, but we had a rsv scare with with my oldest son. It turned out to be a respiratory infection, but we ended up spending a couple of long, scary nights at Children’s Hopsital in Boston. I’m so thankful for the education out there for Preemies after having one myself! I am startled by the statistics on this!